What’s the Difference Between the RAM 2500, 3500, and 4500? The main difference between the RAM 2500, RAM 3500, and RAM 4500 comes down to performance, capability, and body style. The RAM 3500 is available as a pickup or a chassis cab, while the RAM 4500 is only available as a chassis cab. Find out more differences today at Allways Atascosa Chrysler Dodge Jeep Ram near Floresville. Why Buy the RAM 3500? 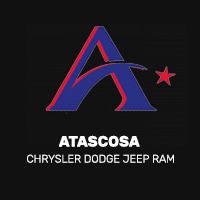 For a deeper dive into the RAM model line, contact Allways Atascosa Chrysler Dodge Jeep Ram at (830) 399-4456. 0 comment(s) so far on What’s the Difference Between the RAM 2500, 3500, and 4500?